Being different is the name of the game for this bakeshop-turned-fast food chain. Antz the Bread Factory aims to provide meals in a more convenient way. It is also a promising franchising opportunity. <>Fast-food outlets now dominate the food industry in the Philippines. Obviously, local consumers now prefer a quick to serve but heavy to eat meal amid their hectic schedules. But most of the time, they get too used to the usual fast food menu, making them look for alternatives. 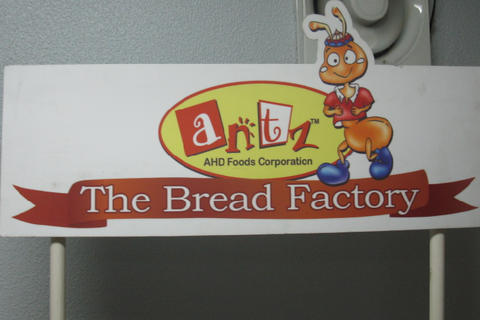 Antz the Bread Factory has found an advantage no other traditional fast-food restaurants can beat. It focuses on serving bread. The business knows that bread products contain carbohydrates that can boost your energy, any hour of the day. Whether it is pandesal or monay, bread can fill your stomach and at times serve as a complete meal. “Filipinos love to eat rice, but you can’t eat it anywhere. You can’t eat it in a cinema, or while riding the jeep or bus. It’s a hassle. That’s why bread is a great alternative. It can serve as your breakfast, snack, merienda, or pasalubong. You can bring it and eat it anywhere,” said Antz the Bread Factory franchise manager Rey Limson. Limson asserted that the bread products they offer are game-changers when compared to the usual stuff sold in other bakeshops. That is why the business can better be compared to fast food joints. From the common ensaimadas to their exceptional fiesta buns, Antz the Bread Factory’s menu comes with variations that are sure to satisfy anyone’s cravings. Abiding with the ants’ mentality of working hard and working as a colony, Antz the Bread Factory sustains accomplishments through discipline and concise internal and external communication. “Ants communicate through action. They’ll just keep moving forward. That’s the same with Antz the Bread Factory. Every time the people see our logo, every time they taste the bread, that’s when you’ll see that we’re trying to communicate with them. We communicate, that’s why our bread is very good,” said Limson. Occasionally branded as an alternative to other bread competitors, Antz the Bread Factory doesn't take the harsh comments seriously. Instead, the company motivates and inspires its employees to do better. “Business-wise we’re not just an alternative product or an alternative meal for Filipinos. Alternative is growth for Antz the Bread Factory. If there’s an opportunity for Antz to grow, we’ll continue to give alternatives to Filipinos,” said Limson. The biggest triumph for this promising company is not reaching sky-high figures in sales but the creation of the Antz brand itself. “It will take a lot of effort, a lot of time to create a brand,” according to Limson. Antz is still open for franchising, although it has imposed stricter restrictions. According to Limson, there is still room for improvement when it comes to expanding the store. “We’re now finding out ways in order to accommodate our applicants from far places. 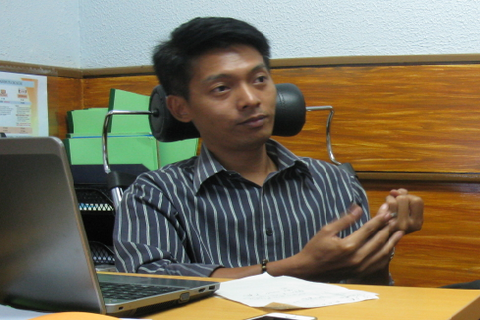 We don’t want to disappoint them,” Limson said. As a Bible verse goes, man does not live by bread alone. But bread helps him satisfy his appetite. Antz the Bread Factory is doing just that, serving some of the country’s tastiest bread products to please the often hungry and craving consumers. To know more about how you can be part of this growing Antz the Bread Factory colony through franchising, visit its online directory listing here.